Escalante acquired The Golf Club at Dove Mountain, formerly The Ritz Carlton Golf Club, Dove Mountain, in 2012 from Tucson-based Cottonwood Properties. The club is located in Marana, Arizona, and is widely known as one of the premier resort and residential golf communities in the southwest. From 2009 through 2014, the Golf Club at Dove Mountain hosted the Accenture World Match Play Championship, which annually hosts the top 64 ranked golfers in the world in a unique match play format. Escalante Golf acquired its second Arizona property, The Gallery Golf Club, in late 2016. The Gallery has hosted a number of high profile events including the Tucson Open, the Accenture World Match Play Championship, and numerous amateur and college events. Located in Marana, Arizona, the club boasts two championship golf courses, numerous dining options and one of the best sports clubs in Arizona. Sonoma Golf Club, designed by acclaimed architect Sam Whiting, was acquired by Escalante Golf from Crescent Real Estate in April of 2014. Located in the heart of wine country, the venerable design has withstood the test of time and has served host to some of the game’s greatest players as well as the season ending Charles Schwab Cup Championship for the PGA Champions Tour. Escalante Golf acquired The Raven at Three Peaks from Intrawest Holdings in 2007. The Tom Lehman and Hurdzan-Fry designed course is considered one of the top courses in the country and annually ranks as one of the best mountain courses in Colorado. Located in Silverthorne, Colorado, just an hour from Denver and minutes from the Vail Valley, the Raven’s spectacular setting and immaculate course conditions are only surpassed by its personalized service. Pine Creek Golf Club is the premier luxury daily fee facility in Colorado Springs, Colorado. Acquired from LaPlata Development, Escalante has owned and operated Pine Creek since 2002, and has firmly established it as the player’s choice in Colorado Springs. The course was designed by noted golf course architect Richard Phelps and winds through the Pine Creek Valley and features natural grasslands and wandering creeks. Escalante Golf acquired The Club at Grand Haven from Crescent Resources in late 2011. Located in Palm Coast, Florida, The Club at Grand Haven is located in the 1,400 acre master-planned community of Grand Haven and features a private Jack Nicklaus Signature Golf Course named to the Top 100 Golf Courses in North America by Links Magazine. Tarpon Cove Yacht and Racquet Club is a private club located in Naples, Florida. Its members have access to a number of world-class amenities including waterfront dining, water sports, spa services and fitness facility. Escalante acquired Tarpon Cove from WCI Communities in 2005, and has turned it into one of the city’s most popular yacht and racquet clubs. Black Diamond Ranch in Lecanto, Florida has been recognized as one of the country’s top residential golf communities since it opened in 1987. Black Diamond is home to 45 holes of golf including the famed Quarry Course that has been named one of Golf Digest’s Top 100 Golf Courses in the country for more than 20 years. Escalante acquired Black Diamond in 2011. Escalante acquired Carolina Trace Country Club in the summer of 2014. Located between Raleigh Durham and Pinehurst, NC, Carolina Trace boasts two Robert Trent Jones, Sr.-designed courses and has served as host to a number of prestigious events since it opened in 1972. Escalante has major renovations planned for the Lake Course and Club amenities. 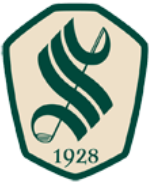 Escalante Golf acquired Country Club of the North from Capital Golf Management LLC, in 2008. It is considered one of the most prestigious courses in southern Ohio and is the only Jack Nicklaus Signature Course in the region. In addition to golf course operations, Escalante Golf is developing the remaining real estate within the community. In the fall of 2015, Escalante Golf added Pumpkin Ridge Golf Club to its portfolio. Considered one of the top golf clubs in the northwest, Pumpkin Ridge has hosted numerous events including Tiger Woods' third U.S. Amateur, two Women's U.S. Opens, Web.com events and several college tournaments. Pumpkin Ridge is located just outside of Portland, Oregon. BlackHorse Golf Club is perennially one of Texas’ top rated public facilities. The two 18-hole courses provide a unique and scenic layout unlike anything in the Houston area. The club was acquired by Escalante Golf in 2013 from the Redstone Companies. Escalante acquired Golf Club of Houston, formerly Redstone Golf Club, from The Redstone Companies in 2013. This 36-hole private club features the Member Course designed by Jim Hardy and Peter Jacobsen and the Tournament Course designed by Rees Jones. The Tournament Course is the host of the PGA Tour’s Shell Houston Open. Black Hawk Country Club (formerly Houstonian Golf & Country Club) has successfully become one of Houston’s top country clubs since opening in 1999 with world class golf, state of the art fitness center, resort style pools and tennis. The property was acquired by Escalante in 2013 from the Redstone Companies. The club has hosted several high profile events including the 2006 Nationwide Tour Championship, the 2009 LPGA Tour Championship and was co-host of the 2011 U.S. Mid Amateur Championship. Shadow Hawk Golf Club is golf in its most traditional and pure form. Designed by Rees Jones, the club has hosted several U.S. Open Qualifiers, the U.S. Women’s Mid Amateur and was co-host of the 2011 U.S. Men’s Mid Amateur Championship. Since the first drive on the course by the Honorable George H. W. Bush, Shadow Hawk has been a welcome respite for those seeking a private course where tee times are not needed. The club was acquired in 2013 from the Redstone Companies. Escalante Golf acquired Kingsmill Resort in the spring of 2017. Founded and created by Anheuser Busch more than 45 years ago, Kingsmill Resort is a AAA Four Diamond condominium resort and conference center located in southeast Virginia on the James River between Richmond and Norfolk. The River Course - one of Kingsmill’s three courses - is the current host of the LPGA Tour’s Kingsmill Championship. The resort’s one- to three-bedroom condominiums, with kitchens and spacious living areas, are ideal for golfers and families.